Welcome to May 1st! With Spring fully in swing, there are all sorts of activities to check out in the Inland Northwest area. Let’s talk about one such activity that gives you a plethora of options for the family to enjoy. 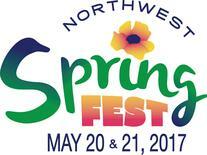 It’s called the Northwest Spring Fest in Coeur d’Alene May 20th and 21st. The main event: A two-day Monster Truck Insanity Show where professionals battle through stadium races, freestyle competitions and circuit tracks. To watch this event, you can find FREE seating in the bleachers…with Spring Fest admission! More Attractions: If the Monster Truck Show doesn’t draw you in, this even offers a great choice of other activities! For those with kids, the Spring Fest boasts a kid’s inflatable village and animal exhibits. If those don’t interest you, there’s an archery range, a community stage, an open livestock show and more! This event’s a great opportunity to find mouthwatering food and fantastic exhibits. It’s sure to be one of those experiences that creates family memories for years to come. For event details, ticket information and more, click on over to the website.